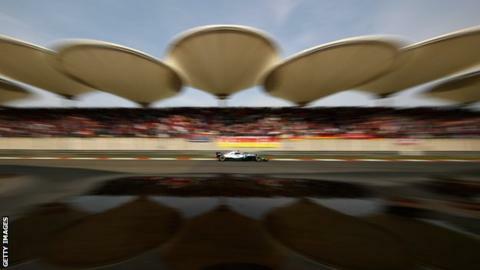 Mercedes' Lewis Hamilton was "in no-man's land" as he finished fourth at the Chinese Grand Prix and says he must work out why he was off the pace. The world champion cut the gap to title rival Sebastian Vettel from 17 points to nine after the Ferrari collided with Max Verstappen's Red Bull. Verstappen's team-mate Daniel Ricciardo won but Hamilton was concerned not to be fighting for a race victory or pole. "I just didn't have the pace. I have to figure out what it is," said Hamilton. "I can't have disaster weekends like this." Hamilton has been out-qualified by Mercedes team-mate Valtteri Bottas for two races in a row and lined up fourth. After a poor start dropped him to fifth, he struggled to make up ground. "I was in no-man's land, I had no pace. I was trying to hold on for whatever I had," said the 33-year-old Briton. Hamilton also castigated his team for not reacting quickly enough when a safety car was deployed mid-race. Red Bull switched both Verstappen and Ricciardo to new tyres in Shanghai, while Hamilton was left out on older tyres and was unable to hold off the Australian's charge to victory from sixth. Hamilton was also passed by Verstappen and finished fifth on the road, but was promoted to fourth because the Dutchman earned a 10-second penalty for colliding with German Vettel, who finished eighth. "It is a tough battle ahead of us," Hamilton said after Sunday's race. "From my side and also the team, we have been underperforming. "Yesterday and today have been a disaster on my side. I have to try to rectify that and get myself back in normal performance mode or more points will be lost. 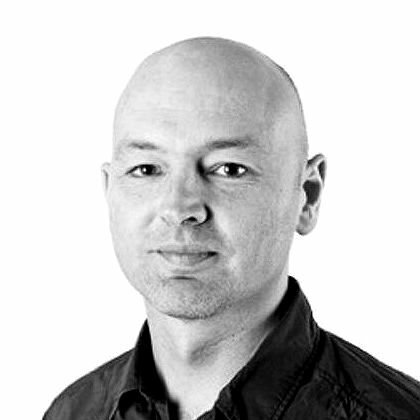 "[I'm] thankful for a couple of incidents ahead, otherwise more valuable points would be lost. That kind of kept us in the battle. "Saturday the car was terrible balance-wise and it was the same today. You have to try and keep your head up and keep plugging away. I did that but I was in a different race to those around me. I just didn't have the pace." Hamilton, who has not won a grand prix since the US Grand Prix in October six races ago, missed out on victory in the opening race of the season in Australia when a miscalculation by Mercedes led to Vettel jumping him at a pit stop. He qualified fourth at the second race in Bahrain - behind team-mate Bottas, as he was in China - and started ninth after a grid penalty. He recovered to finish third while Mercedes lost a race they felt they should have won with Bottas when Vettel switched strategy and managed to hold the lead. Team boss Toto Wolff said: "The whole weekend we were not good enough. We just need to get our act together. "He was, like the car, maybe not in the best place this weekend. He is the best driver in my opinion. But also the best ones have days where it is just not 100% and if underneath you have a car that is not performing as expected and tyres not doing what you think they should and the strategy goes against you, then everything just goes in the wrong direction."